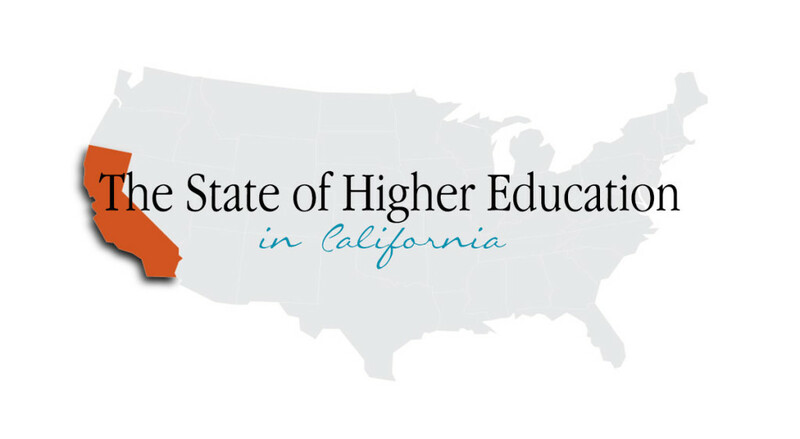 Campaign for College Opportunity co-founders David Wolf and Steve Weiner embark on a statewide college leader listening tour to assess the state of higher education in California and publish Keeping the Promise, highlighting their findings. Civil rights, business, education, and community leaders from the California Business Roundtable, Community College League of California, and the Mexican American Legal Defense and Educational Fund (MALDEF) come together to found the Campaign for College Opportunity. 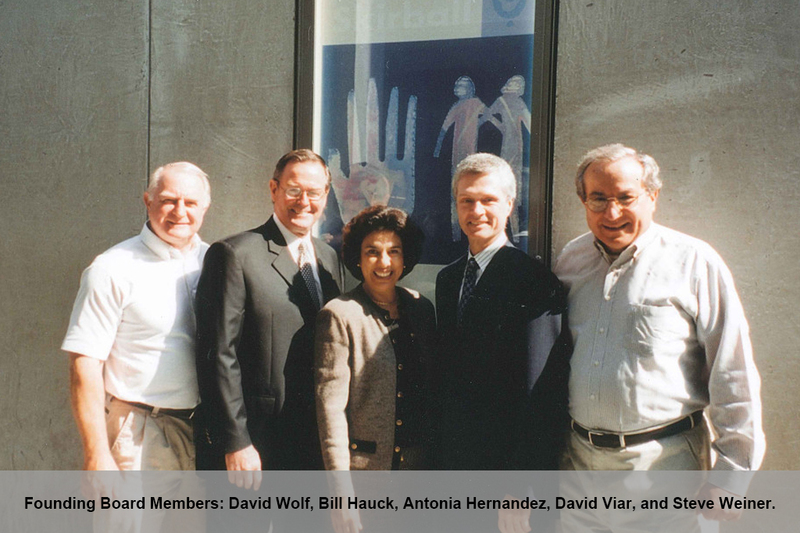 In November, the Campaign is officially incorporated and funded by the Charles Stewart Mott Foundation, Community College League of California, the Ford Foundation, the Hewlett Foundation, the James Irvine Foundation, the David and Lucille Packard Foundation, and the Rockefeller Foundation. The Campaign hires its first Executive Director, Abdi Soltani, and Associate Director, Michele Siqueiros, and opens offices in Oakland and Los Angeles. Expanding college access – focusing on meeting capacity as budget cuts were very much limiting the number of students served. Efficiency and innovation – focusing on what colleges can do to help serve more students and increase college completion. Tuition policy – recommending tuition and fee policy that provides both families and colleges with a predictable and stable expectation of costs and revenue. The Campaign launches a statewide listening tour visiting 66 cities to build relationships with leaders across the state and discuss the challenges facing higher education. Following the tour, we publish Listen Up, a summary of our key findings. We launch the “Save Me a Spot in College” (SPOT) Scholarship Contest and receive 8,000 entries. Through SPOT, the Campaign engages students who would be turned away from college if California breaks its promise of college opportunity. We also publish Keeping California’s Edge, an analysis of the relationship between higher education and the economic value created in the California economy. 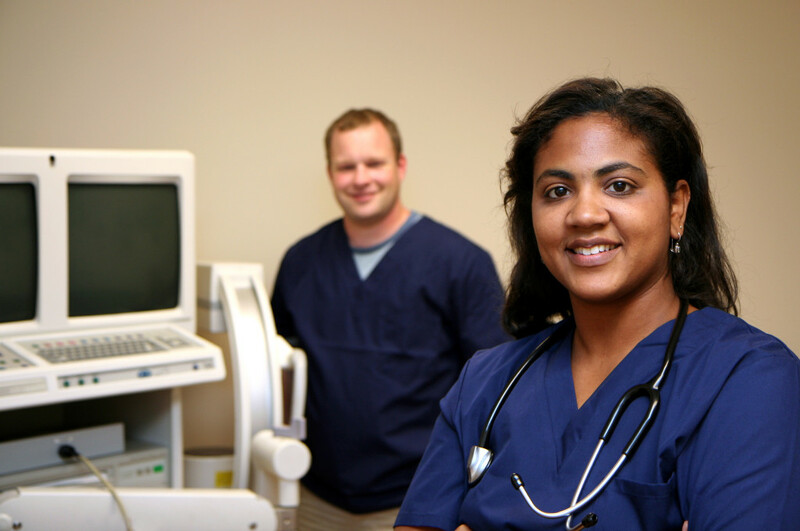 We publish Closing the Health Workforce Gap, shedding light on the need for an adequate healthcare workforce in California. We sponsor AB 668 (Portantino), the California Community College Financial Aid Opportunity Act, which ensures that California Community College students have the opportunity to apply for financial aid. It is passed and signed into law. We host “Know How to Go” college knowledge events to support families and students in understanding their options for preparing for and getting aid for college. We sponsor SB 890 (Scott), the Early Commitment to College bill, to assure students who sign a pledge to work hard, stay in school, and take the steps they need to make it to college, have a spot in college and financial aid available when they get there. It is passed and signed into law. We open our Sacramento office, lead by our now-Executive Vice President Jessie Ryan, to solidify a constant presence in the legislature and truly deepen policy work. 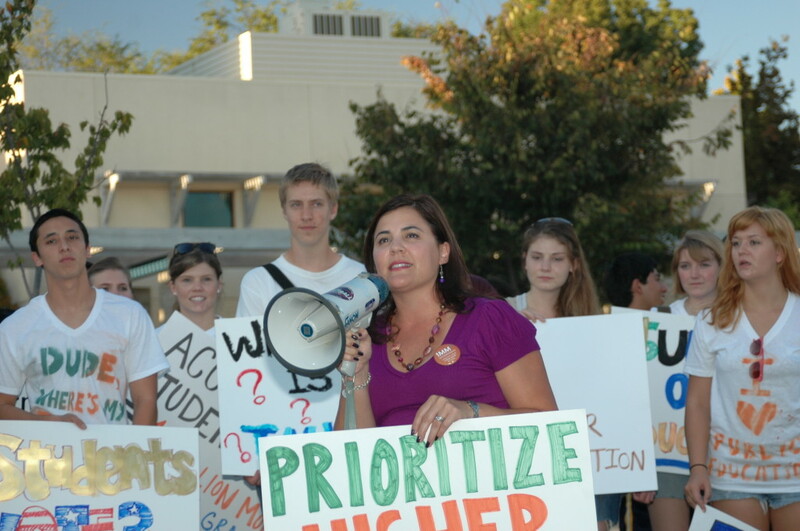 We establish new policy priorities that center on student outcomes. We release our first budget statement, calling on the Governor to prioritize limited resources to minimize the impact of deep budget cuts to access, prioritize student outcomes, and hold colleges accountable for putting students first. We sponsor AB 440 (Beall), the College Student Success Act, in a first attempt to reform the broken community college to California State University transfer process. It fails in the Senate Education committee. We publish Technical Difficulties: Meeting California’s Needs in Science, Technology, Engineering, Math (STEM) Fields, a report that assesses STEM needs in California. 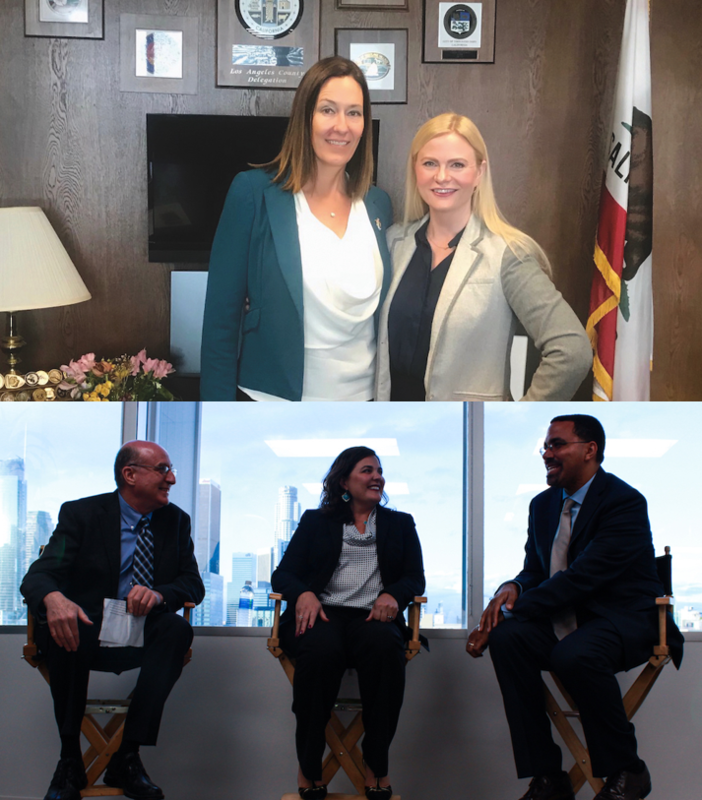 We co-sponsor and champion SB 1440 (Padilla), the Student Transfer Achievement Reform Act, a historic transfer reform package legislation creating the Associate Degree for Transfer, ensuring students earn a “degree with a guarantee” to the California State University. It is passed and signed into law. We publish Divided We Fail, highlighting the incredibly low rates of completion for community college students by race. We launch the “One Million More” campaign to raise awareness of the state’s looming workforce shortage. We publish thirteen Divided We Fail regional profiles and a gender profile, and host nine regional roundtables with over 250 leaders to discuss the findings. Forty-two organizations join us in calling for improved student success at our community colleges. 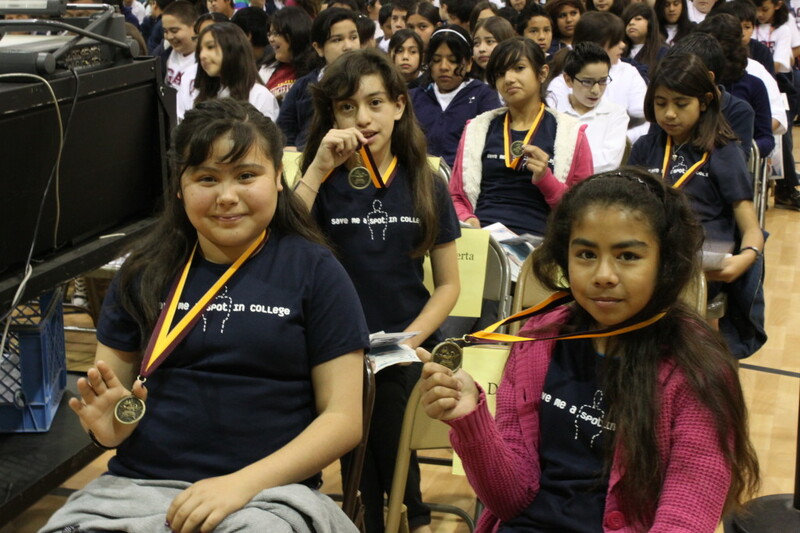 Los Angeles Unified School District launches “Early Commitment to College” in 65 schools with the goal of having all incoming 8th graders sign our Save Me a Spot in College pledge. We publish California’s Economic Payoff, documenting the economic return of $4.50 to the state of California for every $1 it invests in public higher education. We publish Missing the Mark, analyzing transfer reform implementation efforts and draws attention to uneven progress across the state. We deepen our attention on college affordability issues due to the rise in college costs and student debt. 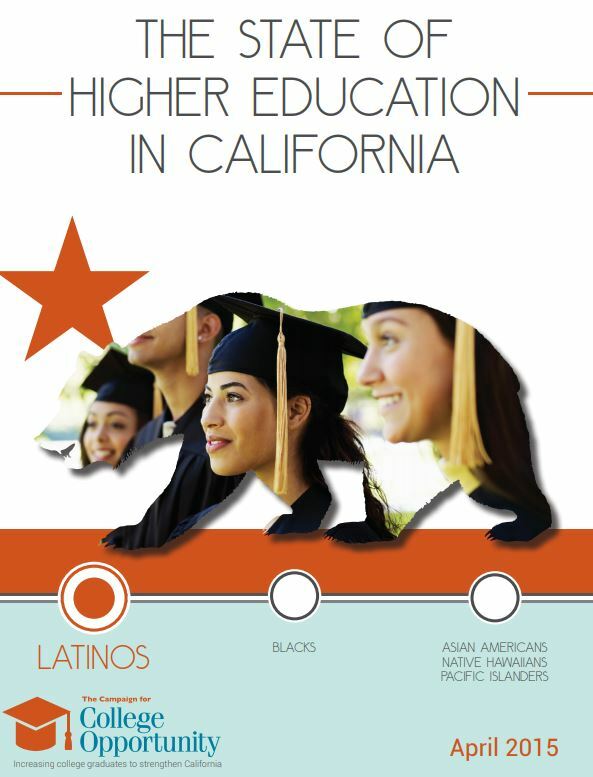 We launch our State of Higher Education in California report series to highlight the college preparation, access, and success of Latino and Black students in California. 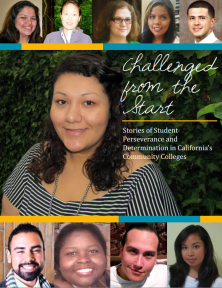 We publish Working Hard, Left Behind, which sheds light on California’s working poor families and the opportunities, or lack thereof, that exist in the state to help move them out of poverty through higher education. We co-sponsor SB 440 (Padilla), the Student Transfer Achievement Reform Act, follow-up legislation to strengthen transfer reform. It is passed and signed into law. We publish the Real Cost of College: Time and Credits to Degree in California, highlighting the importance of time to degree in the college affordability crisis and Borrowing for College, providing an overview of student loan debt in California. We embark on a 14-city listening tour across the state to receive input from stakeholders on a new higher education plan for California. We publish Average Won’t Do, New Vision, and State Policy Leadership, which provides a landscape of the state of higher education in California, sets goals and outlines priorities for a public agenda, and identifies leadership tools to facilitate implementation. We host our first national briefing in Washington D.C. to educate California congress members on the State of Higher Education in California. Our reports attract wide media attention to the issues of college prep, access, success, and equity. We release our State of Higher Education for Black, Latino, and Asian American, Native Hawaiian, and Pacific Islander Californians along with policy briefs on affirmative action and state policies that help or hinder Latino student success. We contribute to major victories in the state budget that allocate more funding to the UC and CSU with an explicit focus on increasing access and improving transfer and time to degree. We also contribute to a $60 million allocation to innovative efforts at community colleges that will help improve basic skills courses. The UC launches 11 transfer pathways aligned with the Associate Degree for Transfer with a promise for ten more in the coming year. We sponsor AB 770 (Irwin), Remedial Education Redesign, which established the Basic Skills and Outcomes Transformation Program, a program that incentivizes colleges and provides funding to improve the progression rate of students needing basic skills instruction into college-level courses. It is passed and signed into law. We contribute to major victories in the state budget that allocate more funding for community colleges and the UC that include a $200 million allocation focused on a college readiness pipeline and $30 million to improve basic skills courses. 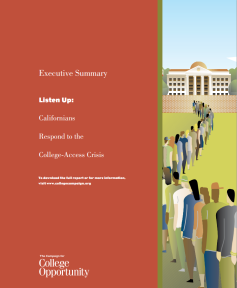 We release two important reports, Keeping the Promise: Going the Distance on Transfer Reform, and Needed: Sy(STEM)ic Response: How California’s Public Colleges and Universities are Key to Strengthening the Science, Technology, Engineering and Math (STEM) and Health Workforce. We rally coalition partners to join us in Washington, D.C. along with 22 of our student ambassadors to advocate for year-round Pell Grants and for simplifying the Free Application for Federal Student Aid (FAFSA). We host our first annual Champions of Higher Education Celebration to highlight community colleges and CSU campuses that are improving transfer rates through successful implementation of the Associate Degree for Transfer pathway. 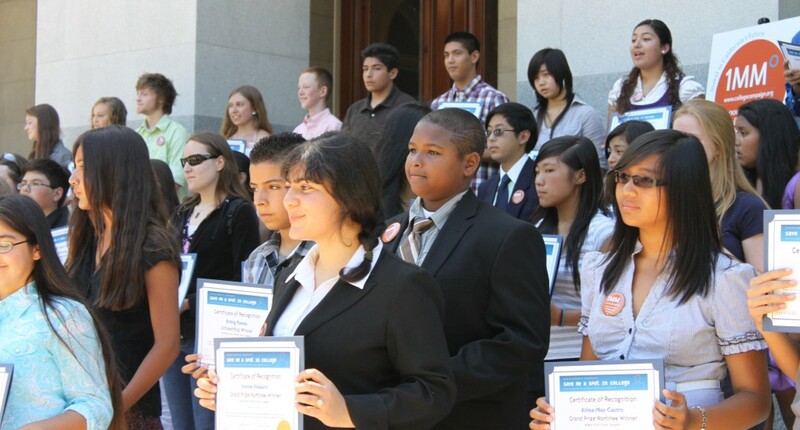 We sponsor AB 705 (Irwin), Ensuring Assessment Equity at Community Colleges. The legislation ensures more students have access to college-level courses when they start community college by requiring colleges to use high school transcripts as a factor in determining course placement, substantially increasing students’ chances of completing a degree, certificate or transfer. We host a discussion with EdSource journalist Larry Gordon, who moderates a conversation between President Michele Siqueiros and former U.S. Secretary of Education and incoming President & CEO of The Education Trust, John King. We advocate for an additional $160 million for community colleges for proven student success efforts, $150 million for guided pathways in the state budget, and an additional $700 million to expand enrollment. We host our second annual Champions of Higher Education Celebration, honoring several colleges and universities as Champions of Higher Education for supporting students through the Associate Degree for Transfer. We convene groups to talk about ways to support and provide resources for DACA and undocumented students, participated in legislative news conferences calling on Congress to pass the DREAM Act, and pressed the Trump Administration to uphold DACA. We launch “Our California,” a campaign calling upon our Governor to create a bold new vision for higher education that includes a 60% attainment goal for California adults by 2030, makes the necessary investments in higher education, and supports reforms that ensure the success of our students. 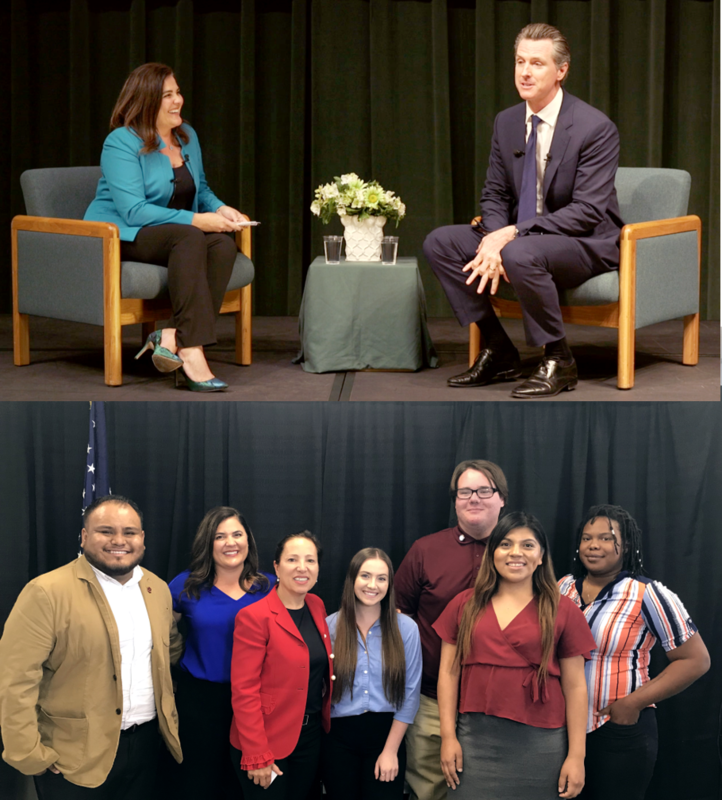 We ensure higher education was a central topic in the 2018 election by hosting townhalls and forums on higher education with the leading candidates for Governor and Lt. Governor, including current Governor and Lt. 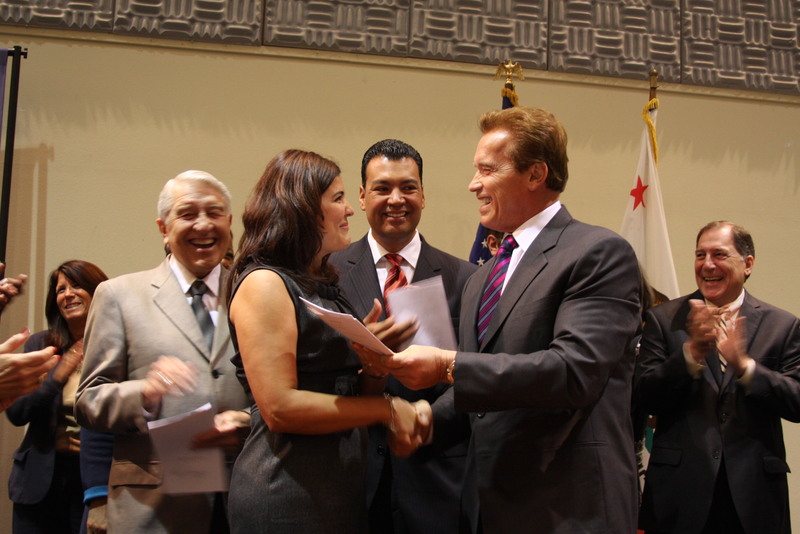 Governor Gavin Newsom and Eleni Kounalakis. We publish Left Out: How Exclusion in California’s Colleges and Universities Hurts Our Values, Our Students, and Our Economy, which calls attention to the lack of racial and gender diversity in California higher education leadership. We champion the new Community College Student-Centered Funding Formula, which increases funding and promotes student success. We advocate expanding access across all systems of California higher education in the 2018-19 budget, resulting in over $1.3 billion for higher education and more than 4,000 new spots for students at our public universities. We launch the California Undocumented Higher Education Coalition, bringing together business, student, and community organizations to support college success for undocumented youth. The Coalition supported legislation that now grants many undocumented students access to income-based loan repayment options.